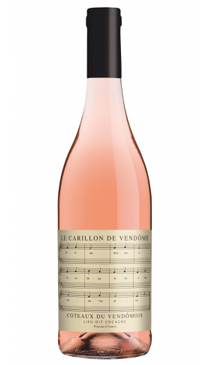 Le Carillon is produced by the Cave Cooperative du Vendomois, whose vineyards are located on both sides of the Loire river. This cooperative is comprised of a dynamic core of 20 vibrant vignerons who strive to produce terroir driven quality wines rather than focusing on just quantity. Pineau d` Aunis is a grape variety with a very specific flavour profile. Notably White pepper. It is only permitted variety for use in the making of Rose wines. This dry example comes from a four hectare vineyard that has been identified for the quality of the fruit that the site delivers.